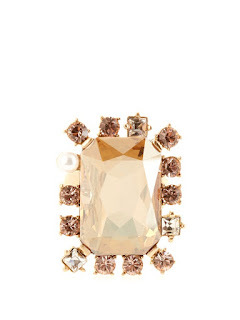 8 Designer Cocktail Rings on Sale Now! January blues got you down? Start the new year with some new designer jewellery in your life as now is the perfect time to snap up some serious bling at a steal of the original price. Here are eight of my favourite cocktail rings on sale now! Don't miss out as these won't be on sale for long. Snap up this blue beauty for 60% off now at £38.00. 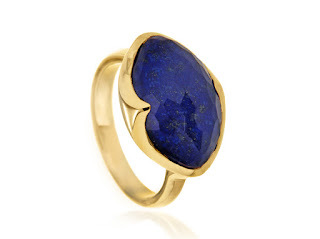 A stunning cocktail ring gold vermeil featuring a blue lapis lazuli gemstone to make you dream of far away exotic places and inspire some serious holiday planning. 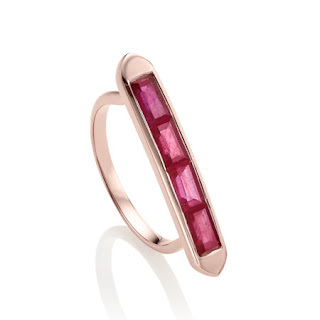 This gorgeous pink ruby and rose gold baja ring is on sale for 50% off at £125.00. I love how this ring is a linear design but still looks very organic. Set with rubies totalling 1.705 cts, this bar cocktail ring is some serious carats for your cash. This sparkly number is 50% off at the moment for £145.00. I love wearing a plain band with a twist and this textured ring gives a beautiful effect without the addition of precious stones making this ring more affordable but just as luxurious. The sales are always a great time to pick up investment pieces for a fraction of the full price. This Astley Clarke Aurora icon aurora ring is currently on sale for £695. This might still seem pricey but when you consider it's 14ct gold, not vermeil and it's set with 0.41ct white diamonds in a beautifully modern pave setting that's not a bad price at all. 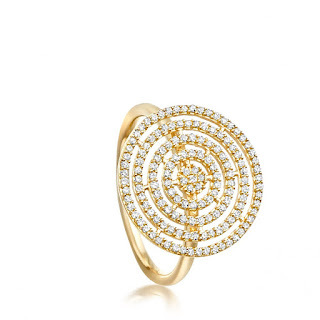 This fabulous and funny ring is currently 37% off from Aamaya by Priyanka. I absolutely love her jewellery especially this with it's sense of movement and comic stylisation. It's made of 18ct rose gold vermeil and the bomb is made of black onyx stones. 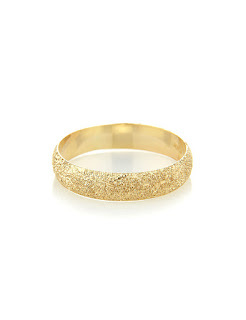 Oscar de la Renta's sparkling cocktail ring has been made from gold plated pewter in the USA. The stone in the centre is a Swarovski surrounded by smaller crystals and pearls. This ring is bold and feminine with a romantic twist. 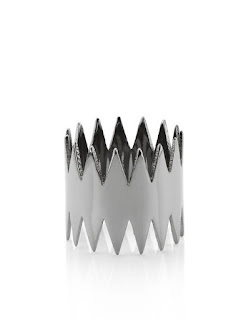 This edgy and interesting ring is from the Carnivore collection. 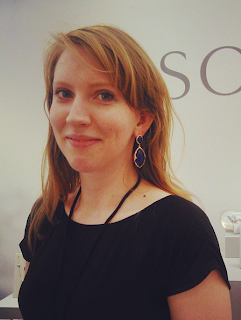 Annelise Michelson's jewellery is instantly recognisable for her sculptural designs and unusual pieces. 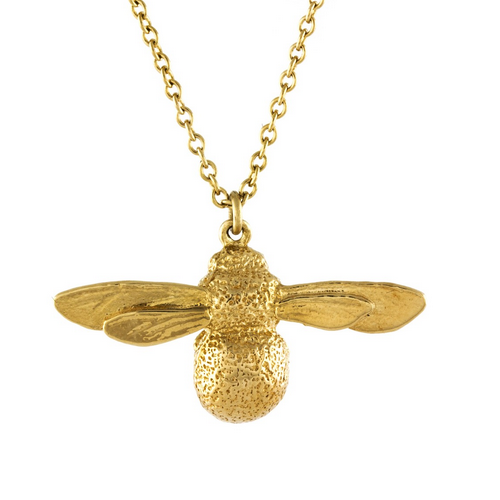 As this is reduced to £52 its a great moment to snap up an amazing piece of designer jewellery. Green is the big deal this year in 2017 so grabbing a fabulous piece for £52.00 at 60% off would be a great purchase. 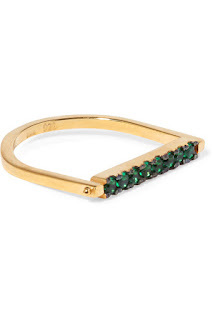 This ring is made of gold vermeil and the bar rotates so so can rotate the bar around so you can choose between the green zircons or to have the smooth side showing up instead for a more minimalist look.